The broad collaboration that honored US Senator Tom Harkin, on his retirement with a late September 2014 policy day has published proceedings under the same title: "A Call to Action on Integrative Health and Medicine Policy - Advancing the Legacy of U.S. Senator Tom Harkin". Harkin was, sequentially, a champion for chiropractic, alternative medicine, complementary and alternative medicine and finally integrative medicine and health, over a 30 plus year career. The day was convened by a collaboration the primary sponsors of which were ACCAHC, ACIMH, AIHM, IHPC, IIH, Samueli Institute, Life University, and Georgetown University, where the event was held. The booklet, edited by D.C.-based integrative health consultant and sometimes Integrator contributor Taylor Walsh with support from IHPC's Alyssa Wostrel and John Weeks (then with ACCAHC), includes excerpts of talks in two themes categories. The morning sessions focused on a review of progress and changes since a 2010 post-ACA symposium similarly co-led by the Integrative Health Policy Consortium (IHPC - see Affordable Care Act and Beyond: Report from the Stakeholder Conference on Integrative Health Care) In place of a plaque, the participants chose to honor Harkin with what Wostrel called "inspirational commitments made by symposium participants." These on pages 37-40 of the report. Excerpts from the tributes given to Senator Harkin, by former Congressman Berkley Bedell, US Senator Barbara Mikulski and others are on pages 41-43. Senator Harkin's remarks follow. Comment: One of Harkin's contributions - among the multitude noted in the proceedings - is a message he gave to activists in the mid-1990s. If they wanted to have an impact in Congress, they would be served to learn to collaborate and speak as a single and thus more powerful voice. It is especially fitting that the planning team for this invent was, in fact, the broadest collaboration to ever get behind, sponsor and plan a single integrative health and medicine policy event. It is fitting as well that the report is hosted on the site of IHPC, the founders of which took Harkin's message to heart. IHPC's 16 Partners for Health organizations and the collaborative accomplishments - which now include closing the loop with this remarkable event - speak to the value of the Senator's tutelage. The American Botanical Council has published an 8-page look at botanical research at the National Center for Complementary and Integrative Health (NCCIH). The author is NCCIH's chief program officer for botanicals, Craig Hopp, PhD. ABC's founder and executive director Mark Blumenthal prepares readers for what it to come in his overview note for the issue. He notes that of NCCIH-funded botanical trials, "most have resulted in less than encouraging outcomes." The article, entitled "Past and Future Research at NCCIH with Respect to Botanicals," includes a remarkable table showing outcomes of 17 NCCIH-funded trials. A not-so-sweet 16 include a variant of "no detectable benefit" as the chief outcome. The single positive trial, on cranberry extract for prevention of urinary tract infections, resulted in a less than enthusiastic "may be beneficial in some populations of women." Hopp speaks to the subsequent decision of NCCIH to no longer fund trials on herbs that focus on specific diseases. Instead, NCCIH is taking on basic research in such areas as the emerging "omics" and "network pharmacology." The latter reflects the emerging awareness that an herb may have a multitude of impacts on an organism. Comment: The publication of this article by ABC in its flagship journal Herbalgram is gutsy. What is the herb-prescribing and herb-using community to make of these findings? Hopps is a good guide though NCCIH's thinking, while letting the data speak for themselves on the findings of minimal effectiveness. The basic question, however, stays on the table, begging for a metaphor of, say, is there an elephant in the room? Meantime - see the piece below under Cost - dietary herbal supplement sales were up 6.8% in 2014. Glenn Sabin: Names, Nomenclature, Trends - Where We Are Headed? Integrative center consultant and Integrator adviser Glenn Sabin has stimulated a good deal of chatter with his recent blog: Names, Nomenclature, Trends - Where We are Headed. Sabin's post is based on trends in Google search terms from 2005 to the present in the continuously evolving what-do-we-call-ourselves world of (now) integrative health and medicine. While "alternative medicine" continues to lead, searches for that term are in a marked decline. "Complementary medicine" is also sliding. Bumping up at high rates relative to past usage are "functional medicine" and "integrative health." The term "integrative medicine" held pretty steady. Sabin concludes: "While it's interesting to view search trends of the subcategories of integrative health and medicine, and the steady rise of functional medicine, the biggest takeaway I see is that the industry continues to have a significant branding challenge." Comment: Missing from Sabin's analysis are the terms "holistic health" and "holistic medicine." On the instigation of Molly Roberts, MD, a past president of the American Holistic Medical Association, Sabin ran a similar query that included those titles. Roberts shared them with the Integrator. Remarkably, "holistic health" and "holistic medicine," while in a decline that stabilized in 2009, rank higher than "alternative medicine" and significantly higher than the "integrative" names. The name game in this field always brings to mind the 1996 decision of the then marketing genius Oxford Health Plans when it chose to name its pioneering coverage program "alternative medicine." The HMO tested various names and found that their prospective members called the services of acupuncturists, naturopathic doctors, chiropractors and others "alternative medicine." I suspect that the evocative "holistic" terms fall into a similar patient-friendly category. That "functional medicine" is on the rise may in part be due to the fact that, like "alternative" and "holistic," "functional" strikes an immediate chord for the average person. Part of the branding problem that Sabin references may be due to a misalignment between what medical professionals deemed was the best term and those that ring true for their patients. Interesting thought piece, Glenn! French and German Mixed Results on Homeopathy Costs; Possible Public Health Role? Two recent studies reported here in the Global Integrator Blog analyzed the impact of access to homeopathic services on national health costs. "Economic impact of homeopathic practice in France" reported a 20% reduction in costs for patients of medical doctors using homeopathic care. Though visit costs were higher, pharmacy costs were lower. Fewer drugs of significant public health interest such as antibiotics and pain-killers were prescribed. Overall the conclusion was that "management of patients by homeopathic (general practitioners) may be less expensive from a global perspective and may represent an important interest to public health." Meantime, an analysis in Germany that asked if "homeopathic treatment can save costs" found quite the opposite. A research team that included Claudia Witt, MD, concluded that "compared with usual care, additional homeopathic treatment was associated with significantly higher costs." The researchers added: "These analyses did not confirm previously observed cost savings resulting from the use of homeopathy in the health care system." Comment: If one only had the French study, one might pose this Triple Aim question: What if homeopathics are nothing better than placebo, clinically, yet 1) lower costs, 2) please the patients and enhance their experience of care, and 3) have a positive impact on population health by limiting prescriptions of problematic pharma? Bingo on the Triple Aim. Interesting conundrum, especially for those who can't get over that issue about potency and Avogadro's number. The Queen's Physician in the United Kingdom, homeopathic doctor Peter Fisher, MD promotes the public health value in his recent opinion piece on homeopathy in the British Medical Journal. Of course, if the conclusions of the German study prove to better characterize the cost realities, the Triple Aim claims for homeopathy are then perched on a teetering two-legged stool. The American Botanical Council, working with the Nutrition Business Journal and others has published is annual market report for herbs. In 2014, for the 11th straight year, sales of "herbal dietary supplements" were up. They jumped 6.8%. This was down from the 7.9% in 2013 yet the second biggest jump of the millennium. Some lead performers in terms of year over year sales were Echinacea (up 79%), cranberry (up 16%), elderberry (up 64%), turmeric (up 60%) and ivy leaf (up 379%). Ivy leaf was new to the top 40 list. Saw palmetto, flaxseed and rhodiola were among those for which sales dropped. The authors note that some in the industry are concerned that the steady growth may end in 2015 following the negative publicity in particular from the New York attorney general's non-scientific attack on the field. Comment: From time to time, the best commentary on a situation is Van Morrison's line from Wild Night: "All the girls walk by dressed up for each other/and the boys do the boogie-woogie on the corner of the street." Here the NIH researchers (see article under Policy, above), dressing up for each other, while the citizen as consumer pay no mind while keeping up the boogie-woogie of botanical purchases. The Herbalgram editors ran the two stories back to back. A recent Kaiser Health News article marked an important threshold for bringing sanity to medicine in the USA. Here is the lead in: "It might seem natural for new doctors to learn about the cost of the care they're providing, but, in fact, doctors have been taught to provide the best care possible, leaving the cost considerations aside." Then: "Now, in a stark departure from the past, the vast majority of the country's medical schools now integrate discussions of cost, value and effectiveness into their curricula." The chief medical officer with the Association of American Medical Colleges (AAMC), Janis Orlowski, MD, calls the move "a dramatic change." An AAMC survey reportedly found that "129 of 140 responding medical schools offered a required course on the cost of health care" for the 2013-2014 school year and nearly 40 percent of the schools said they also present the issue in elective courses. In one initiative, at UCLA, "In the everyday teaching that students get about clinical medicine, what medications to prescribe, what's the name of this diagnosis, we're going to add a layer to every discussion about the value part of that (economics, value) as well." Comment: The move from insanity to sanity is generally in the right direction. The idea that a practitioner should make therapeutic choices based solely on his or her sense of what is best for the patient, without reference to cost - or a hard look at any other value issue - fell hard when the U.S. woke from its sullied idealism. Even as the so-called Alliance for Progress abroad proved a methods for stimulating business of US corporations, so medicine's white hat was sullied by something called "perverse incentives" that has infected the judgement of doctors and other decision makers on what patients need and how medicine is to be organized. The advent of the classes documented by the AAMC are an excellent remedial measure. For the integrative health and medicine fields, teaching to cost and value may have a different sort of value. I explore this in "Perverse Incentives" and the Triple Aim: Overcoming the Troubled Path to Economic Integration for Integrative Medicine and Health for Global Advances in Health and Medicine Journal. An initiative with which I have been involved for the Academic Consortium for Complementary and Alternative Health Care, The Project for Integrative Health and the Triple Aim, was created in part to eventually shape curricular content and elements through which cost, value and effectiveness can be introduced into IHM educational programs. This article and the generously gifted internal documents describe the remarkable four-year road to certification for licensed acupuncturists led by Richard McKinney, MD at San Francisco General Hospital (SFGH). As the process unfolded, the surrounding public health system also necessarily became involved. The credentialing then opened to a broad set of facilities. McKinney and his colleague Hali Hammer, MD generously provided information that could be useful to licensed integrative practitioners of all kinds, and to medical delivery organizations seeking how-to information. These include the SFGH "Memorandum of Understanding" with licensed acupuncturists and the SFGH "Standardized Procedure for Licensed Acupuncturists." Each is linked from the overview piece. This article is part of Integrator media support for a partnership between the Center for Optimal Integration: Creating Health of the Academic Consortium for Complementary and Alternative Health Care (ACCAHC) and the National Certification Commission for Acupuncture and Oriental Medicine. Comment: The business of credentialing a licensed acupuncturist for practice in a hospital or health system can seem like a slam dunk. The basics of accredited education, licensing and malpractice insurance are in place. Yet somewhere in the chasm between Qi/Chi and the RCT, the route can take heroic dimensions. This is quite a story. More importantly, the patience and perseverance of McKinney, the co-founder of the Integrative Medicine for the Underserved, and Hammer, not only resulted in a more expansive result. The openness and sharing will assist scores of others, especially through the exceptional SFGH policy documents. Delivery organization administrators exploring credentialing will also find much to crib from here. We're spending enormous time and effort to get highly-coordinated processes down to operationalize true collaborative, integrative health." The comment was made by Casey Health Institute (CHI) co-founder David Fogel, MD. As reported here, one method CHI is using to create these teams takes from surprising sources: the "discipline" of match-making plus that of co-counseling. They call it "speed-dating." The interprofessional CHI team practices it every Thursday morning. This interview with CHI integrative practitioner Nicole Farmer, MD looks at the methods, benefits, challenges and applications of this strategy. The article is offered via a partnership between CHI and the ACCAHC Project for Integrative Health and the Triple Aim, the mission of which is to share information on CHI's effort to model an integrative patient-centered medical home. The Integrator is a CHI-PIHTA media partner. Comment: I loved the idea of "speed-dating" as a tool for interprofessional education when Fogel mentioned it to me and even more on learning about it from Farmer. What an efficient way to get multiple practitioners into each other's business in a short period of time! In 1997, Beebe Healthcare opened the first health system based integrative center in the state of Delaware led by energy medicine practitioner Cheyenne Luzader, MS. The center's integrative pain program is featured in this Delaware News Journal piece together with the "innovative integrative pain management program" at Nemours/A.I. duPont Hospital for Children. (Notably, Delaware's medical professionals prescribe more opioids per capita than in any other state.) 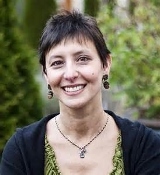 In an e-mail, Luzader also shared a separate July 2015 news article that focuses on the re-emergence of acupuncture detox programs, including the program for smoking cessation at Beebe. Luzader is also part of a state led planning effort. She wrote: "Rita Landgraf, State Secretary of Health and Social Service, invited me to represent integrative medicine in meetings to form a new state healthcare initiative. We have been working on this for two years now. The plan recognizes state licensed chiropractors, acupuncturists and massage therapists as part of the patient care team." Luzader notes that she is a fan of the National Pain Strategy "as a route to more integrative care." She urges others to examine the strategy as a possible boon to their work. Comment: I learned of Luzader's work from colleague Glenn Sabin, whose blog piece on language is in the Policy section of this Round-up. Pleasing to be able to give her work, going back 18 years, some visibility. Beebe's program is among the longest continuous health system-based complementary and integrative health programs in the United States. This Integrator feature is a quick capture of highlights from stories on the web relative to integrative medicine in the prior month. Here are 20 involving medical delivery systems and 11 more in communities. Of particular note are a widely picked up article on integrative care for the elderly based on research out of Thomas Jefferson University; publication of research on acupuncture and its potential role in managing blood pressure, led by John Longhurst, MD at the Susan Samueli Center at UC Long Beach; and a review of whole system research on integrative health and medicine in delivery organizations from Australia's Alan Bensoussan, PhD that discovered how very little quality information is yet available on the topic. In a unique development in integrative health and medicine academics, the teaching clinic at the Portland, Oregon-based National College of Natural Medicine (NCNM) has been awarded Level 3 recognition as what that state calls a "Patient Centered Primary Care Home (PCPCH)." A release from NCNM notes that this is the highest award level that the Oregon Healthcare Authority (OHA) grants. The NCNM effort was led by Regina Dehen, ND, LAc, NCNM's dean of clinical operations and chief medical officer. Said Dehen: "From a PCPCH care perspective, NDs meet the OHA requirement of patient-centered care, which addresses a patient's overall care. What's new at the NCNM Clinic is that we've created ‘healthcare teams,' based on the PCPCH model that assures each patient's continuity of care." Comment: This is a remarkable accomplishment and one that can have significant downstream impact. All of NCNM's clinicians - naturopathic doctors, acupuncture and Oriental medicine professionals, nutritionists and others - will henceforward be experiencing what it is to work inside the outcomes and assessment focused environment of a PCPCH. Congratulations to Dehen and her NCNM team. For those interested in more on the NCNM initiative, Dehen spoke on the work in this June 2015 webinar: If I Ran the Zoo: Quality Measures and their Alignment with Integrative Health and Medicine. Georgetown University and the Maryland University of Integrative Health (MUIH) have signed an affiliation agreement. Elements reportedly include commitments to "shared faculty, mutual support for common and independent initiatives, and preferred admissions and advanced standing for graduates of each university into academic programs of the other." Georgetown's integrative health leader Adi Haramati, PhD provided the commencement talk at MUIH's June graduation. Frank Vitale, MUIH's president and CEO positions the move as "one more example of the work that MUIH is doing to build meaningful partnerships with other universities, to build bridges between conventional and integrative care, and to provide opportunities for our students and faculty." A September article in Acupuncture Today has announced that a new 501c6 national organization for the acupuncture and Oriental medicine (AOM) field, the American Society of Acupuncturists, is now part of the landscape. The organization has some immediate credibility as it houses that field's Council of State Associations: "The ASA is a maturation of the CSA, which has been an informal collaboration in evolution for 5 to 10 years. The structure of the ASA has essentially been ‘beta tested' via the work of the CSA, and so we are founding this organization on a solid bedrock of experience." Twenty-four state organizations are founding voting members of the ASA. The article describes the relationship with the American Association of Acupuncture and Oriental Medicine (AAAOM). The CSA, which was born out of the AAAOM, decided not to merge back into it. Will they be competitors? This is the answer in the article: "The ASA and the AAAOM have agreed in professional discussion to ‘play in parallel' for a few years. Each organization may have gifts for the profession, and there is certainly enough work to be done." The initial ASA business model leaves a great deal of power with the state associations as membership in the state association gives one status with the ASA. The ASA does not appear at this point to have a website. ASA's Facebook page is here. The founders are working on finding necessary resources and industry partners. Comment: It will be interesting to see how this parallel play will work out. AAAOM has been limping along with a paying membership that reflects no more that 2%-3% of the 30,000 licensed acupuncturists. Many view the AAAOM as being mired in challenging personality issues, as featured in this two-part Acupuncture Today feature: AAAOM - Making Promises it Can't Keep. Let's see what this new phase will mean for that profession's troubled effort to create a quality national organization. A first-ever nationally representative survey, commissioned through the Gallup organization by Palmer College of Chiropractic, found that 33.6 million (14%) of American adults sought chiropractic care in 2014. This is up from "a reported estimate of 20.6 million in 2012." Of those surveyed, 57% say they would be "likely" to visit a chiropractor if they had back or neck pain. Remarkably, over half said they have already tried chiropractic and over a quarter said they would use chiropractors first for back or neck pain. The entire Gallup report is here and a related scientific study, led by William Weeks, MD, MBA and involving chiropractic researchers Bill Meeker, DC, MPH and Christine Goertz, DC, PhD is here. The research team found that "a higher per-capita supply of DCs was associated with higher utilization rates and showed a more favorable regard for DCs." The poll's official name, "Gallup-Palmer College of Chiropractic Inaugural Report: Americans' Perceptions of Chiropractic" suggests that this might be the first of annual reports. Comment: For chiropractors, presence, apparently, makes the heart grow fonder. The usage found by Gallup is more than double that found in other recent surveys. The Integrator contacted Meeker, the president of Palmer West, with a query about this differential. He replied: "We have been all over that question, and the correct answer is no one knows for sure. When we repeat the survey in future years we will get a better handle on that. For sure the methods of different surveys are different, and that could be it. The other answer is that there has been a true increase in use. Personally, I think it's both, but cannot provide strong evidence." Meeker continues: "However, Gallup was so surprised that they checked for use in two other completely separate surveys going on simultaneously with other also randomly drawn samples, and the use rate was virtually identical. Gallup stands by their own data. We shall see when the next Federal surveys are completed to see if growth occurred in their method. Finally, we should remind ourselves that the margin of error for Gallup was 2 percentage points. Ditto more or less for the 8.5 percent in the NIHS survey. Which potentially puts both sets of estimates within a point or two of each other. Conclusion. Hard to come up with a one-liner explanation." The profession-building and standard-setting work of the International Association of Yoga Therapists (IAYT) continues with work on a Code of Ethics for Yoga Therapists presently on their plates. John Kepner, IAYT executive director, shares that the work also includes "two necessary complements, ‘Grounds for Disciplinary Actions' and ‘Procedures for Disciplinary Action.'" Kepner comments on the process: "While it is not easy to write a code of ethics, it's much harder to develop an actual process to enforce it. However, it's a necessary part of becoming a real profession." Kepner surmises that the work on the code is "only possible because IAYT accreditation is rapidly becoming a required recognition for in-depth yoga therapist training programs." Then Kepner credited the help of colleagues at the National Certification Commission for Acupuncture and Oriental Medicine (NCCAOM): "NCCAOM had the best integrated and comprehensive code and procedures for enforcement that we saw, so we borrowed a lot from them." Kepner noted that this step in maturation for the field was again abetted through IAYT's membership in the Academic Consortium from Complementary and Alternative Health Care, through which IAYT come to know NCCAOM representatives. Comment: As a fan of IAYT and of Kepner's guidance of the organization, I was pleased to see him honored with a front page photo for the Summer 2015 Yoga Therapy Today. Kepner explained the vestment: "In the Indian tradition, its customary to give presenters and ‘dignitaries' as they call them, a scarf when they speak. I received this at the end of our last conference. The President of our Board, Dilip Sarkar, MD, who is originally from India, had them custom made in India." "In Name and Concept: The Global Uptake of the Movement for Integrative Medicine and Health"
The title of the column is: "In Name and Concept: The Global Uptake of the Movement for Integrative Medicine and Health." Documented is the "uroborus-like" integrative health and medicine activity between industrial and less developed nations. The process: 1) industrial nations embrace indigenous, traditional practices from around the world; 2) elevate them into regular medical delivery as part of "integrative medicine" programs; then, 3) the integrative concept is exported back to the nations that sourced the traditional methods in the first place where 4) the "integrative concept" is used as a means to elevate the value of the traditional medicines practices there. Comment: I love this loop: "The spiraling interconnectivity poses the question of what might be achieved if these linkages were engaged with greater intentionality. How might diverse parties go about forging additional ties? What are the elements of a global movement for integrative health and medicine? What might be reasonably accomplished?" What ideas do you have? This is a monthly Integrator feature, based on activities summarized in the September Global Integrator Round-up I write for the website of the peer-reviewed Global Advances in Health and Medicine Journal (GAHMJ). There was exceptional global news in August on multiple fronts. In South Africa, there was a model inclusion of traditional healers in a public health effort relative to communicable diseases. In the USA, a conference focused on the intersection between integrative health and medicine and community health, a rich yet underdeveloped vein of mission-centric, integrative possibility. In India, the government won two intellectual property wins for the AYUSH legacy against Colgate-Palmolive and a UK pharma company. Interesting, also, to see the work of the integrative psychiatry network in the Netherlands. In the Amazon, a tea company is seeking to model responsible partnership with indigenous people from whom they are sourcing their product. Plus, 77 Quick Links. GAHMJ's mission is "to catalyze whole-person and whole-system care and healing." Comment: A remarkable reality is that, while some 60%-80% of the people of Africa still get a significant part of their primary care via traditional medicine and local traditional medicine practitioners, institutional medicine, whether local or NGO-based, still rarely directly engages these practitioners as part of the team. The logic seems to be that since these practitioners often no have formal academic standards, they can't be engaged. Thus the story from South Africa was particularly warming: South Africa Summit Models Inclusion of Traditional Healers in HIV, Tuberculosis Campaign. Clearly, methods exist for these healers to be respectfully included as team players in health. Note: Selection bias. Many of these conferences and meetings are ones at which I will be presenting or am otherwise involved in some capacity. There are certainly others among the multitude of conferences that deserve mention. This is an irregular mention of a few notable meetings. One Friday evening, September 25, 2015 a Canadian leader in complementary and integrative medicine will discover that they have been awarded the $250,000 Dr. Rogers prize. The prize is awarded every two years. The next say, a free Public Colloquium will feature an interesting trio: Joseph Sung, MD, the vice chancellor at the Chinese University of Hong Kong, functional medicine leader Jeffrey Bland, PhD, and environmental medicine thought leader Robert Rountree, MD. Tickets are still available for the gala awards banquet. The conference line-up is powerful: participants from 29 countries, 45 universities and over 100 scientific presentations. All are part of the upcoming 8th European Congress for Integrative Medicine's Global Summit on Integrative Medicine and Health Care, September 26-27, 2015 in Copenhagen, Denmark. The meeting will be convened by a two-year-old integrative medicine organization in the northern European landscape, Nordic Integrative Medicine (NIM). On the day prior, NIM is producing an "Invitational Policy Roundtable on Nordic Models of Care." Participating in the latter are such notables as the Karolinska Institute's Torkel Falkenberg, PhD; a representative from the Australasian Institute for Integrative Medicine, Victor Dzau, MD, the president of the USA National Academy of Medicine, and George Lewith, PhD, the policy meeting's chair. Dzau will also provide the opening keynote to the Global Summit. The Summit will be closed by Victoria Maizes, MD, the director of the University of Arizona Center for Integrative Medicine. All speakers are here. Comment: Quite a meeting. The organization, founded by California-transplant Shelley Noble-Letort, PhD, has set some remarkable goals. Take a look. Georgetown University's tenured professor Aviad (Adi) Haramati, PhD, is a long-time leader in promoting the practice of mind-body health and medicine in health professional education and in medical practice. From October 18-21, 2015, Haramati is bringing his professional passion and the network of leaders he has met in this field to the fore with this International Conference to Promote Resilience, Empathy and Well-being in Healthcare Professionals. The topics are extraordinary and range from promotion of humanism in medicine and medical education through listening and story medicine to neuroscience. Comment: It is a truism that if health professionals are not themselves attending to their personal well-being that they are unlikely to serve as good guides to their patients. Making commonplace the themes of this conference is a necessary component of work to transform the delivery of medicine and health. Here's hoping that this event draws widely. I look forward to being present in a media capacity. The second AIHM conference, has a robust line-up with a yet rare interprofessional mix assembled through a similarly interprofessional conference team led by Tabatha Parker, ND, AIHM's director of education. The event, which drew over 800 in 2014, will conclude this year for the first time with a party and awards banquet. The dozens of presenters include Deepak Chopra, MD, Joseph Pizzorno, ND, Harriet Beinfeld, LAc, Dean Ornish, MD, as well as this writer. Those interested in AIHM's new Fellowship will have an opportunity to meet with director Tieraona Low Dog, MD, who will also present at the conference. Comment: Disclosure note(s): I am an active member of the AIHM Board of Directors. The conference segments with which I will be involved include a plenary that I look forward to sharing entitled "Connective Tissue: A Winner's History for Integrative Health and Medicine." The other is a panel on which I'll moderate and briefly present with a top notch group of colleagues: "Strategies for Integrative Research to Rapidly Transform Payment and Delivery." The team includes Christine Goertz, DC, PhD, Jeff Dusek, PhD, and Ryan Bradley, ND, MPH. Terrific group. The rest of the conference is as rich. In recent years, the Integrative, Complementary and Traditional Health Practices (ICTHP) Section of the American Public Health Association has continuously staked a more significant place in this organization. This year, the ICTHP content is a 3-day program that ranges from integrative health in chronic disease to integrative models relative to policy and payment. Multiple posters will also be displayed. The program is being developed via leadership that includes Beth Sommers, PhD, LAc, MPH and Sivarama "Prasad" Vinjamury, MD (Ayurveda), MAOM, MPH. Comment: I am excited to be able to attend much of the meeting, as media and then as speaker. On Tuesday, November 4, I will share the work, referenced above under "Economics," of the Project for Integrative Health and the Triple Aim. 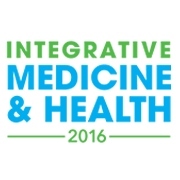 A deadline is rapidly approaching for submissions to the May 2016 International Congress on Integrative Medicine and Health (ICIMH). The Congress is the first of a kind. To create what may prove a unique confluence of energies across the integrative health and medicine fields, the 60+ medical school member Academic Consortium for Integrative Medicine and Health (ACIMH) brought in 3 new partners: for policy, Integrative Health Policy Consortium; for clinical, Academy of Integrative Health and Medicine; and for education, the Academic Consortium for Complementary and Alternative Health Care. These are in addition to research partner the International Society for Complementary Medicine Research. The non-research submissions on policy, education and clinical topics need not be data supported. Anyone is invited to submit on a topic they believe has merit. Comment: I was honored to be asked to work with the Organizing Committee for the Congress. Here's hoping that many will see the potential potency of strong presentations that cut across all 4 of these policy tracks. Consider submitting! Comment: From an organizer's perspective, the remarkable thing about this story was not so much that Spieth used a chiropractor. Rather, it was that the F4CP was in place to swoop in and make the most of it. All the other integrative health professions would be served to mimic the F4CP fund-raising strategy. In a notice to Integrator subscribers, John Weeks (the present writer) celebrated an investment Ruth Westreich has made in the Integrator: Ruth Westreich & the Westreich Foundation Partner with the Integrator for 2015-2017. Weeks, who recently ended 8.5 years of a major commitment in building and directing ACCAHC, shared his excitement in putting writing front-and-center again: "Ruth is buying me time to make the best use of the Integrator, the Integrator community, and my other writing to help forward the movement. Ruth's investment provides an exciting lease on a more robust writing and communications period ahead." FON Consulting's Glenn Sabin wrote on Westreich's investment: "Ruth Westreich Sponsors John Weeks' The Integrator Blog: Why it Matters." Westreich has been a creative marketing and strategic planning director in the non-for-profit and for profit sectors for over 30 years. 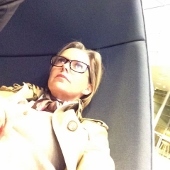 She is co-author of the soon-to-be-published FLASH: Why Creativity Changes Everything. Her contributions to the integrative health and medicine field have been multiple and wide-ranging. Westreich has served at various times on the boards or advisory bodies of the Samueli Institute, UCSD Center for Integrative Medicine, Cal State San Marcos Institute for Palliative Care, Bravewell Collaborative, Bastyr University, UCLA Arts and Healing, Academic Consortium for Complementary and Alternative Health Care (ACCAHC) and the Consciousness and Healing Institute. Comment: One significant outcome: I anticipate finding ways to work with readers to stimulate more interdisciplinary and interprofessional dialogue - curating your voices, instead of simply more of my own. This will I am sure be welcome to all! Thanks, Ruth!